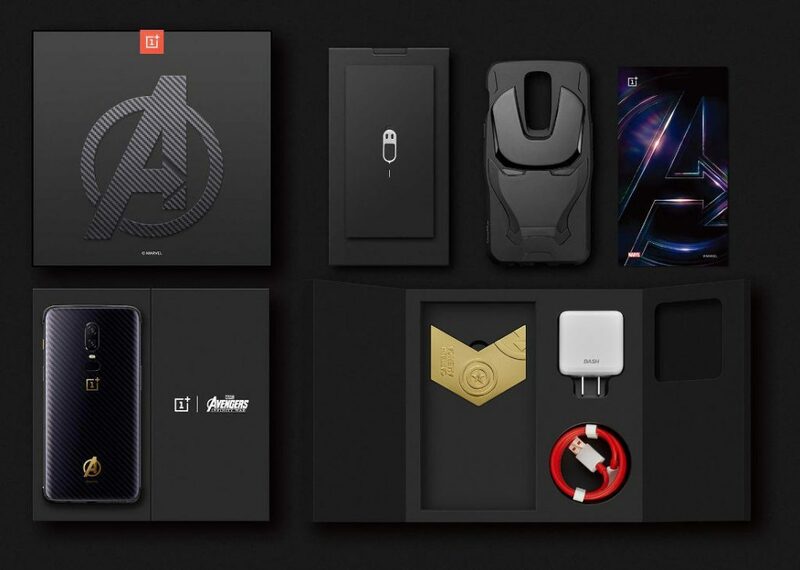 OnePlus 6 Marvel Avengers Limited Edition smartphone has been launched in China ahead of the launch in India later today. The special edition phone comes with a custom 3D Kevlar-textured glass back and has 6 layers of optical coating. There is an Avengers logo in gold, in addition to the OnePlus logo at the back. Further, the Alert slider is in Golden color in OnePlus 6 Marvel Avengers Limited Edition. To recall, the alert slider was of Red color in the Star Wars edition and Lava Red edition of the OnePlus 5T. In addition to the smartphone, the box also contains an Iron Man styled case and a Captain America medal. The specifications are the same as the top variant of OnePlus 6. The phone will be launched in India today at 3PM. The phone has a 6.29-inch Optic AMOLED display with a notch, about 84% screen-to-body ratio and is protected by Corning Gorilla Glass 5. Also, unlike OnePlus 6 standard version, it has a 3D Kevlar-textured glass back with Corning Gorilla 5 protection. It is powered by Snapdragon 845 Mobile Platform with up to 8GB of RAM. It has a 16-megapixel primary rear camera with Sony IMX519 sensor, f/1.7 aperture, OIS and EIS. There is a 20-megapixel secondary camera with Sony IMX376K sensor and f/1.7 aperture, same as 5T for portrait shots and 2x zoom. The front camera is also the same 16-megapixel Sony IMX 371 sensor as the 5T. It runs on Android 8.1 Oreo with OxygenOS 5.1, and the company will also offer Android P beta support starting this week. The phone packs a 3,300mAh battery with Dash Charge fast charging support. 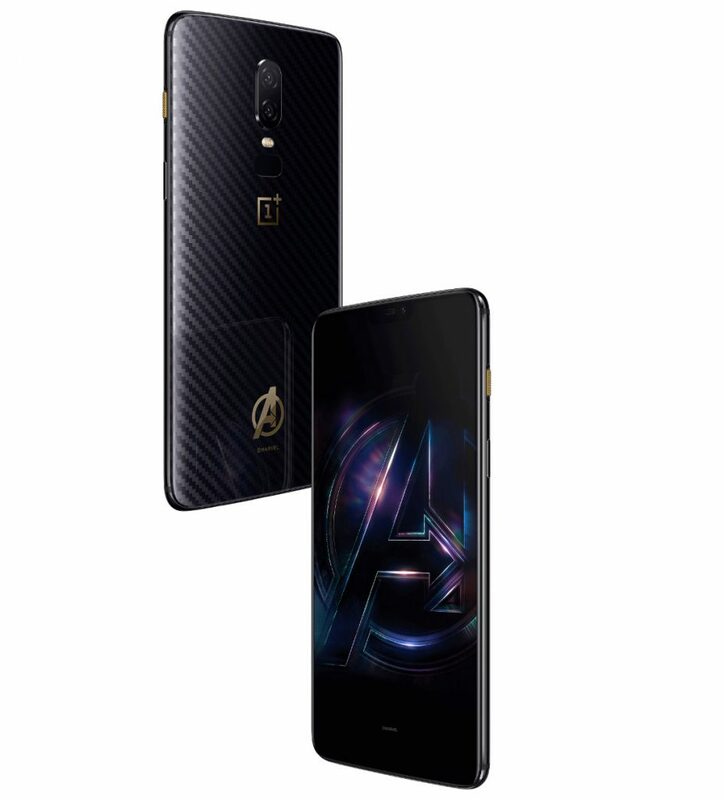 The OnePlus 6 Avengers Edition comes with 8GB RAM and 256GB storage and it is priced at 4199 yuan (Rs. 44,695 approx.) in China. We will know the India pricing later today. The OnePlus 6 Avengers Edition will go on sale from May 22 in China.